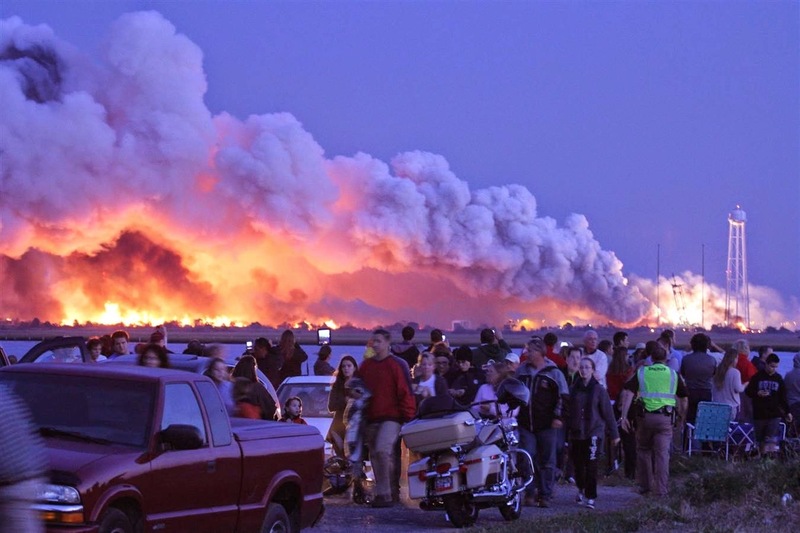 Spectators looked on in shock Tuesday night as a rocket blew up moments after lifting off from NASA's launch complex at Wallops Island, Virginia. Michelle Murphy, an innkeeper in New Church, where launches are visible across a bay about 16 miles away, saw the explosion. "It was scary. Everything rattled," she said. "There were two explosions. The first one we were ready for. The second one we weren't. It shook the inn, like an earthquake. It was extremely intense." The owners of the Antares rocket warned residents not to touch any debris they might stumble across from the craft, which was carrying hazardous materials.